There’s really no experience comparable to motherhood. It changes your life forever and it also changes your finances. Let’s face it, kids are awesome, but they aren’t necessarily cheap. Becoming a mother adds more responsibility to your plate as you have another life to support financially and emotionally. Not to mention, women statistically trail behind men when it comes to managing their finances. While the gap is closing more and more with each passing generation, women and moms still need to know how to master their money more than ever. More moms are working, earning breadwinning salaries, and dealing with different family dynamics and lifestyle changes that require a solid financial situation. Moms also face different societal expectations and standards when it comes to furthering their education, continuing a career, as well as managing money and a household if they wish to so so. It’s unfortunate but true. Dads are rarely asked how they ‘balance it all’ or if they ever feel guilty for working or pursuing a passion project and having a family. To help you improve your finances while continuing to love on your little (or older) ones, we asked financial experts and everyday mothers for their best financial advice for moms at any stage in their motherhood journey. Expecting moms have a lot to prepare for. Even if you consider yourself to be an awesome planner, there’s always the chance that you’ll be faced with an unexpected cost so it’s best to prepare for this in advance by increasing your emergency fund. “There may be hundreds, if not thousands, or dollars of unplanned spending that you may have a difficult time planning for if you’re not prepared,” says Ben Huber, a personal finance writer and owner of DollarSprout. We know a baby is likely going to increase your expenses. This is why it’s important to consider the stability and flexibility of your income. Are you currently making enough to support a child? Can you afford to stay home if that is your desire? How will you handle the increased expenses that come with adding another addition to the family? Should you or your partner get a flexible side hustle? “Going without your income for a few months may be a part of your plan, but know exactly how long your family can last without it and have a plan should the unexpected happen,” says Lauren, an expecting mom and financial blogger The Practical Penny. You don’t have to let the stress of increased expenses to you down as an expecting mom. Veneta Lusk, a personal finance writer and blogger at Becoming Life Smart, recommends borrowing items and accepting hand-me-downs from other moms to cut some costs. In 2016, the median income for families led by a single mother was around $35,400 while the median income for married couples was $85,300. Single mothers often have additional financial pressure because they are the sole income provider in the household. Given these statistics, a single mom needs to work twice as hard or double her salary enough to earn as much as a married couple household does. On top of that, she also has to spend time managing her household and raising her kids. Max, founder of Tried and True Mom Jobs proposes a solution. There are plenty of ways to earn a legitimate income online and you don’t even need a degree for some of the opportunities. You can become a virtual assistant, transcribe audio and video files, do remote customer service work, or even teach or tutor online from the comfort of your own home. Kimberly Studdard, a workflow strategist and mompreneur who founded The Entrepremomer, recommends that single moms utilize all their resources to become more financially stable despite being the sole income provider in the household. She also echoes Max’s recommendation that moms can earn a great income from home and create their own schedules. Kimberly supports her entire household with the income she earns from her full-time virtual assistant business. “If you can’t afford daycare, but want to bring in income, find something online because there are so many more options than there were 10 years ago,” Kimberly says. “Also, don’t be afraid to sign up for assistance if you need it since that’s what it’s there for. Government and private assistance programs can provide financial help for moms and help you better yourself and your child’s financial future. Divorce can place a huge financial burden on both parties. When a couple goes from managing money together to splitting things up, it can create tensions and confusion while leading to overall financial instability. Amy Blacklock and Vicki Cook, the founders of Women Who Money recommended that women get more involved in their family’s finances prior to the unfortunate event of a divorce. Being in the know how when it comes to your money, investments, debt, and savings will only help you continue to make sound decisions if you ever became a single mom. Losing a partner is a painful experience and money is the last thing you’d want to think about during the mourning process. 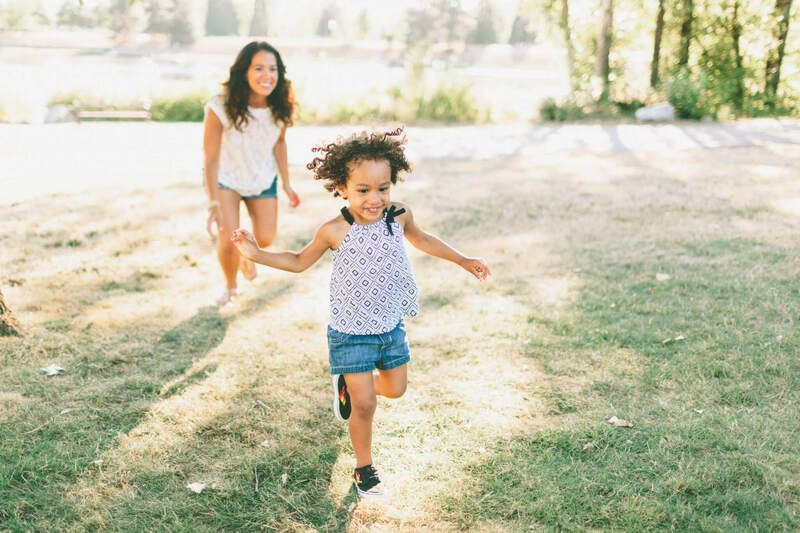 This is why Stephanie McCullough, founder and holistic financial planner at Sofia Financial, recommends all moms get life insurance —- especially stay at home moms. You may not be actively seeking a loan or line of credit, but you never know when you may need one. If you are growing your family and looking to buy a house and upgrade to a larger living space, your credit score will definitely be considered by lenders. Mike Peason, is the founder of Credit Takeoff, a research-driven personal finance blog for people who are looking to improve their credit. He and his wife each have 810+ credit scores and he provided some sound advice for moms looking to improve their credit. This is something everyone can benefit from but moms especially need to prioritize and focus on their own financial goals. As a mom, you shouldn’t feel guilty about still having your own passions and they may even help you out financially. “Before I knew I was pregnant, I wanted to be able to work from home so when we did have kids, I wouldn’t have to take them to daycare,” McKenzie Henderson, founder of the online store Cozy Cottontail,” shared. McKenzie’s passion ended up being quite profitable and she’s not alone. Tons of other moms have turned their passions into profitable income to help them provide for their family and contribute to their children’s financial future. While every mom’s situation is different, applying solid financial advice for women is a must if you want to improve your finances. Use these 10 tips to help you manage your finances better while enjoying motherhood.